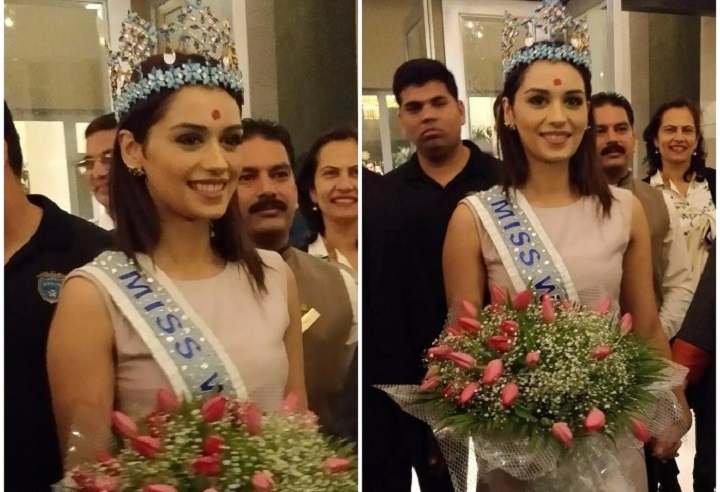 Manushi Chhillar, who broke the 16-year jinx for India at the Miss World pageant last week, received a warm welcome from fans as she arrived in Mumbai on late Saturday night. She was greeted at the international airport here with numerous fans chanting "India, India" as they held up Indian flags and posters of Manushi. The posters read: "Welcome back Manushi Chhillar", "Manushi Chhillar is Beauty with Brains, Miss World 2017". "Feels great to be back home. Thank you India, for such a grand welcome," Manushi tweeted.